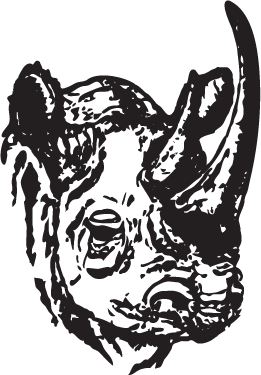 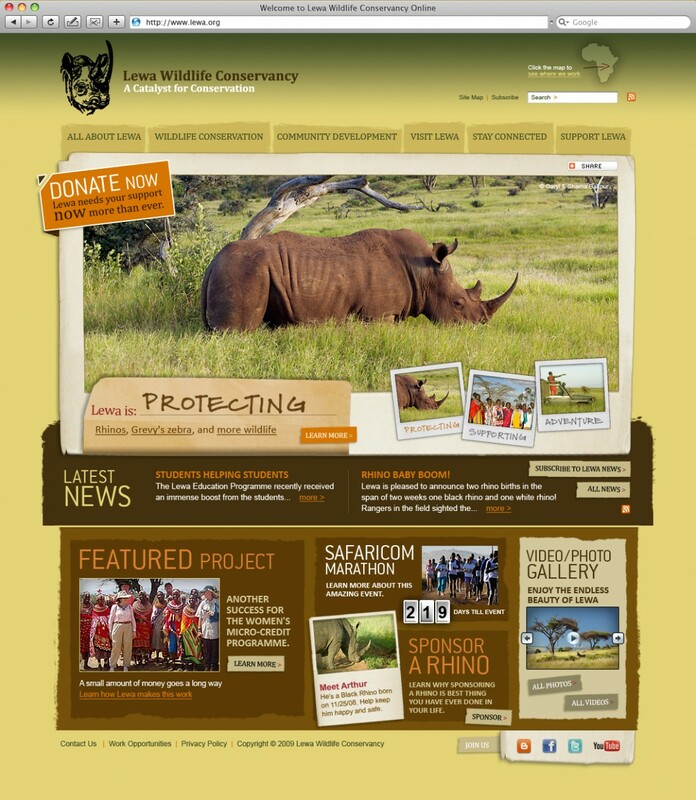 Lewa Conservancy works to save the Black Rhino from extinction. 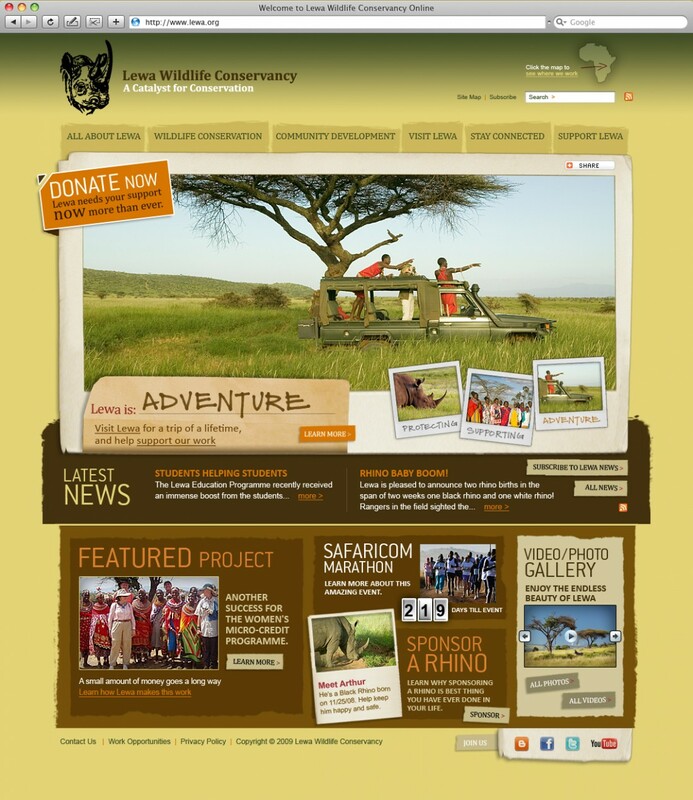 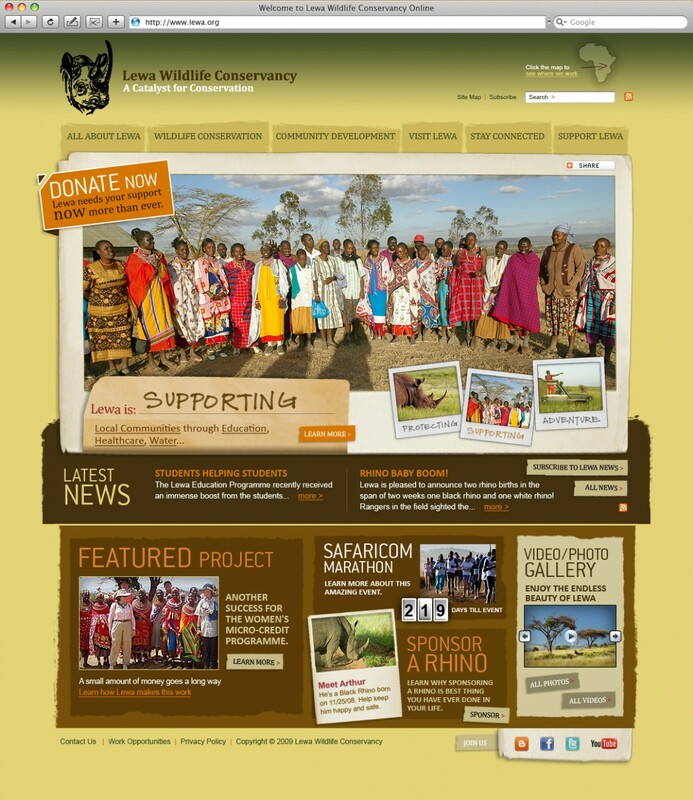 MCM redesigned their website to express the uniqueness of the Lewa experience—and to attract both the adventure traveler and wildlife conservationist donor. 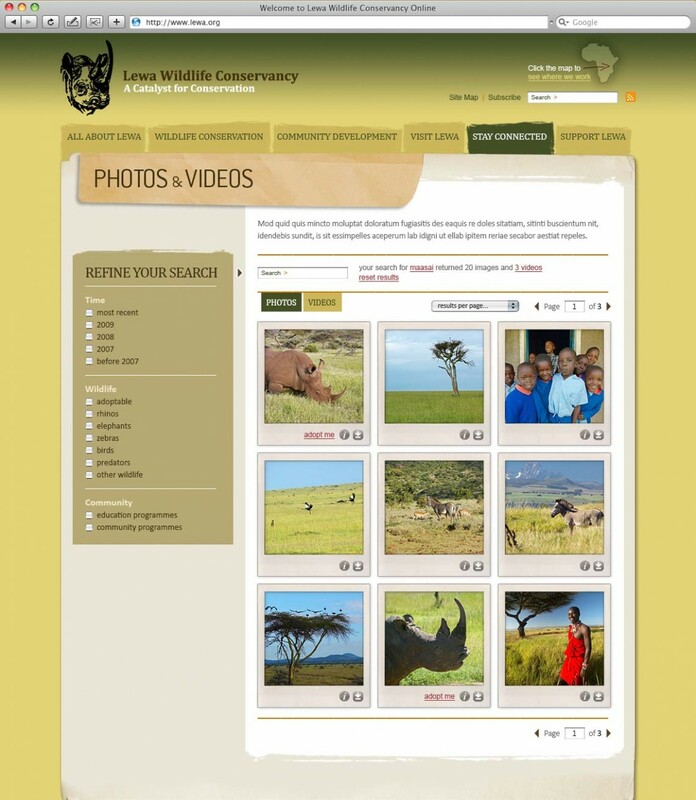 Making use of the client’s fantastic wildlife photography, we designed the site in the style of a traveler’s journal, capturing the allure and majesty of the property and its inhabitants. 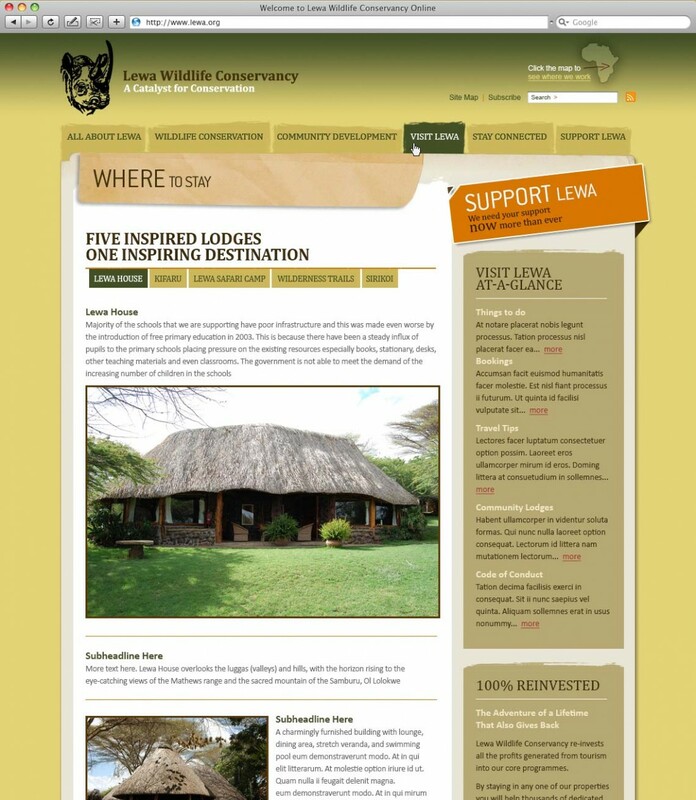 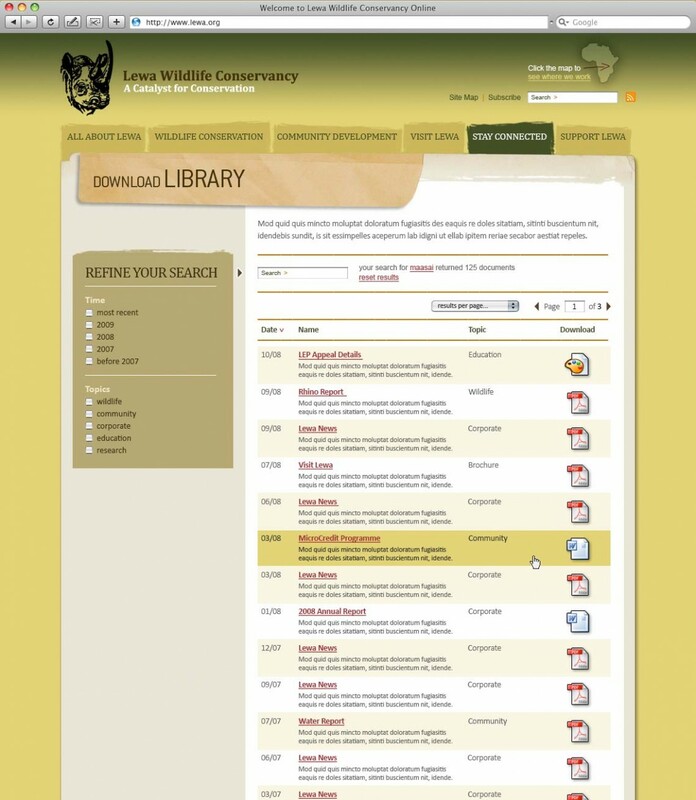 Note: Prince William proposed to Kate Middleton at Lewa soon after the redesign — so there you go.